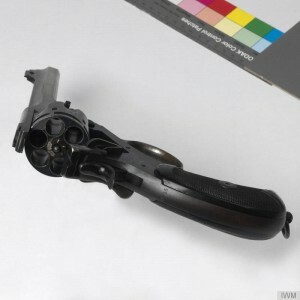 The Webley Mark V .455 revolver was the standard-issue sidearm of the British Army when the First World War broke out in August 1914. 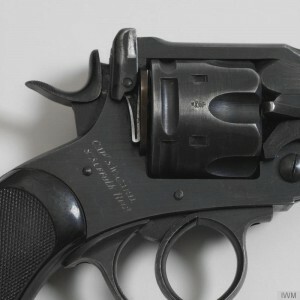 The revolver had been introduced in December 1913 and replaced the Webley Mk IV that had been in service for the previous 14 years and had been widely-used, although not exclusively, during the Boer War.  Both the Mk V and its successor, the Mk VI, were solid and durable weapons that proved ideally-suited to the adverse conditions of trench warfare. 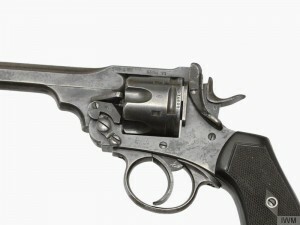 An improved version of the Webley Mk IV, the Mk V was a top-break revolver featuring a hinged frame that opened to expose the rotating cylinder for the loading and unloading of cartridges. 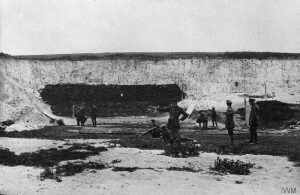 The Mk V fired the recently-introducced Mk V cordite cartridge, which was made from hard lead-alloy containing more antimony than the previous Mk IV cartridge, and cordite propellant. 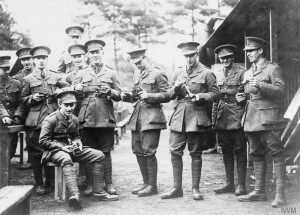 Despite an initial order of 20,0000 Mk V revovlers being made, the demand had not been met when the British Army went to war and as a consequence there were significantly more Mk IV weapons still in service. 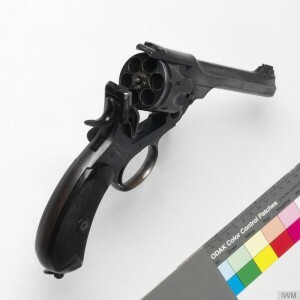 Officers were also permitted to purchase any design of .455 revolver from commercial sellers, leading to a subsequent general shortage of that calibre of weapon.  In November 1914, the Mk V cartridge was withdrawn from service and replaced with the previously-issued Mk II cartridge that was made of a 99% lead and 1% antimony alloy. 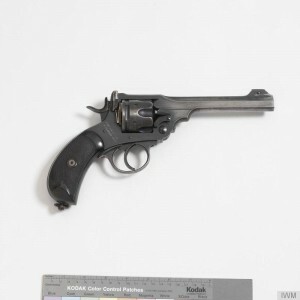 Six months later, the Webley Mk VI revolver was introduced to replace the Mk V and became the standard-issue sidearm of the British Army, Royal Flying Corps/Royal Airforce and Royal Navy for the remainder of the war. 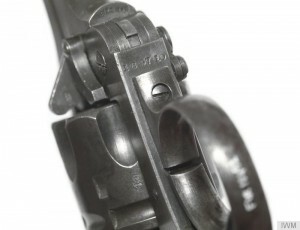 The Mk VI had an adjustable blade front sight and a fixed U-notch rear sight, and a 6-inch barrel that was 2-inches longer than previous marks. Weighing 2.4lb, the muzzle velocity of the Mk VI was reduced slightly to 650ft/sec to reflect the nature of trench warfare. 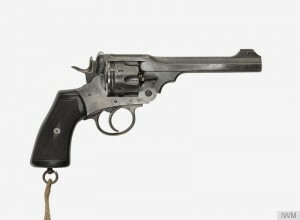 The weapon could be used as a carbine when fitted with a custom-made stock and also had a speedloader and bayonet developed for it. 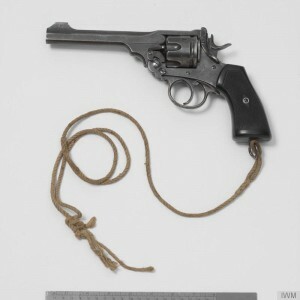 In total, more than 300,000 Webley Mk VI revolvers were issued during the First World War.